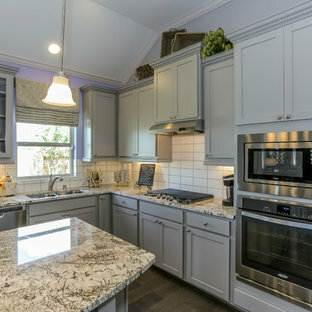 The work horse of the house. 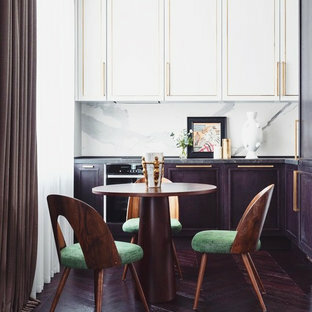 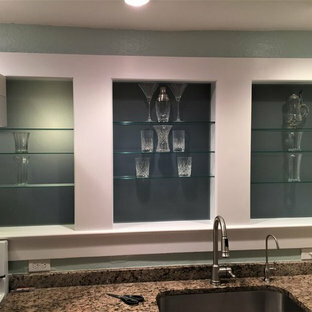 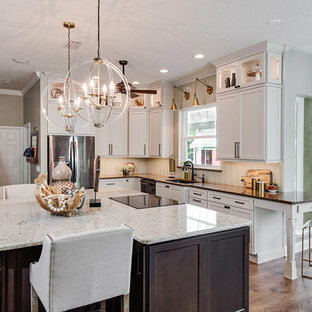 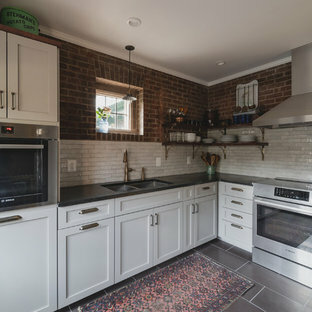 This new kitchen at the core of antique Georgian Manor house melds traditional design detailing with frame and inset panels with modern fluid forms and stainless steel finishes. 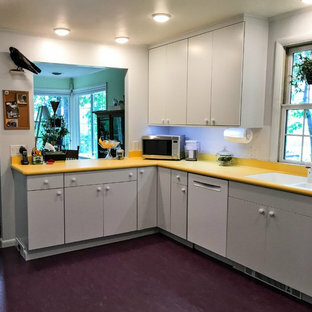 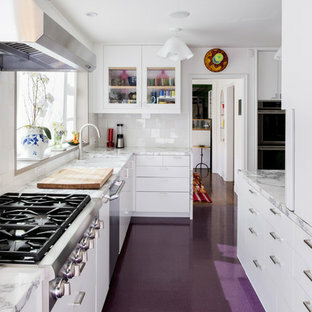 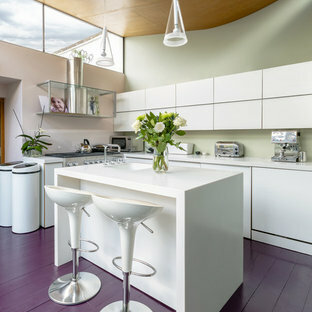 Sunny yellow laminate tops paired with white frameless cabinets and a purple Marmoleum floor result in a very cheerful, whimsical kitchen. 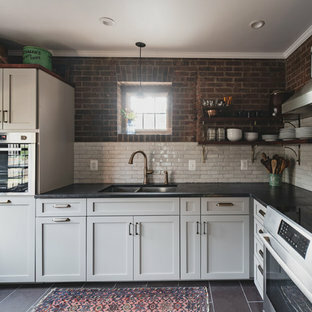 Home Design + This new kitchen has distressed style door panels with stone tops and VJ wall panelling.